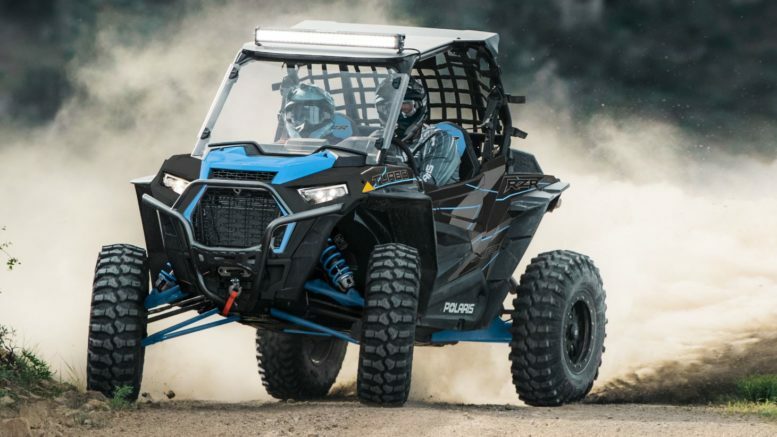 It’s July 25th and today is the day Polaris releases their first wave of new product for the 2019 model year! 2019 introduces the new body style and upgrades from the 2018 Ranger model year line to the High Lifter editions and Ride Command is now available across several Ranger models. We’re LOVING the Ride Command on Sous’s Turbo S so this is a huge upgrade for this product line. Plus how fun would it be ripping in the mud with 6 people?! Among these changes there is a new noteworthy model called the RZR S4 1000 which boasts itself as being the “highest performing trail-ready recreational side-by-side” with it’s 60″ width and 100hp Prostar engine. 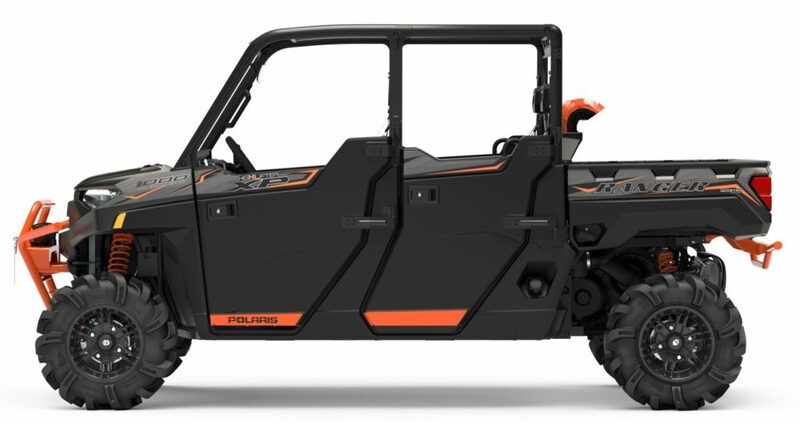 For 2019 it appears that Polaris has now thrown out the traditional wheel travel figures for the RZR lineup in order to display the more juicy “useable travel” figures as first touted with the 2018 RZR Turbo S. If you’re unaware of the difference Polaris considers the distance from the bottom of the tire to the skid plate, while suspension is at full droop, to be the “useable travel” as opposed to the traditional “wheel travel” (the distance the actual wheel can move throughout the suspension movement) when describing their 2019MY RZR lineup. So the XP1000 machines have gone to 21″ front and rear useable travel (as opposed to the 16″ of front wheel travel and 18″ of rear wheel travel) and the Turbo S still claims 25″ of useable travel (while having 19″ of front and 21″ of rear wheel travel). While we don’t actually like this measurement, we do understand it. Our time with the 2018 Turbo S has shown a number of advantages to having the extra ground clearance when the suspension is fully compressed so you don’t impact the frame on the ground. We’re happy to see evolution within the product lines. We’re waiting on even bigger changes, but regardless of that we’re excited about the new models and excited to see Polaris’s continual investment in the market despite times past. As our relationship with the company grows we’re learning more and understanding how this industry works as a whole. With knowledge comes understanding and we remain patient for the complete 100% redesign of the top tier RZR models that are inevitably coming. Polaris’s current and new 2019MY offerings are at the top of the industry so there’s no better time than now to get out there, buy a machine, and have some fun! 4 Comments on "Polaris 2019 release… things that make you go HMMMM"
Any mention of other turbo s features making it to other models, like the new bigger stronger front dif, or beefed up components? Id like those features on a 64” Turbo Dynamix model. Any word on 2019 1000 Turbo 4 Dynamix. The one on the Polaris website is a 2018. I see its the same for the Turbo s. I am wondering if the new 1000 Turbo 4 will be like the S? My 2018 Razor XP1000 came with WAlker Evans shocks and in my opinion the springs are all wrong for the Nevada desert. I am looking for advise on who to purchase replacement springs.